Within an hour or so, my tweet was being re-tweeted and the photo was popping up on twitter and Facebook. When I woke up the next day, it was appearing on blogs and I was being emailed by journalists to ask for more details. 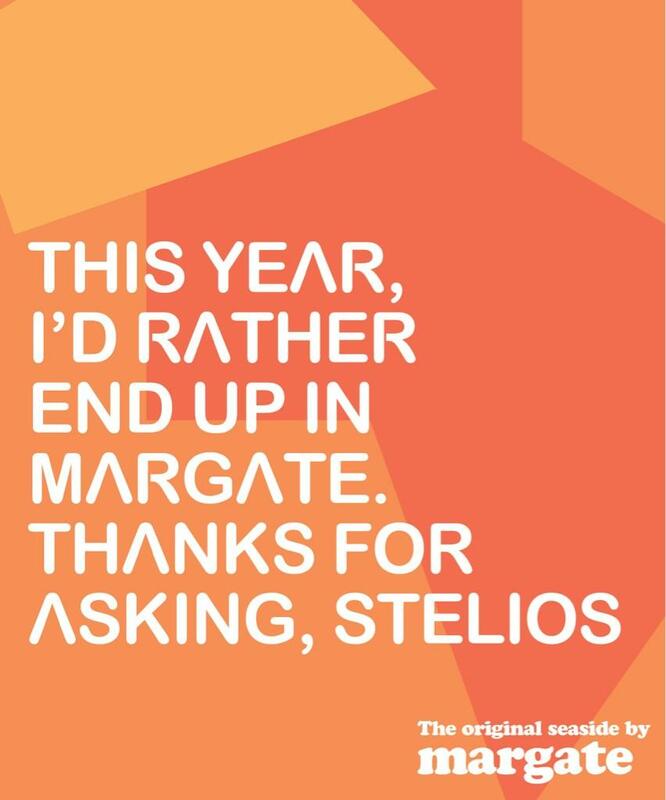 Easyjet were suggesting that Margate was a second-class destination, that you wouldn’t go to unless it was all you could afford. The advert was placed on a train that served the destination that it was insulting. This last point isn’t really an objection to Easyjet, but to Southeastern Trains. They have been supporters of Visit Kent, the DMO for the region, but they have also recently supported the regeneration of Margate through their high-profile PR link-up with Margate’s Mary Portas-supported town centre revival project. Over the course of a few days on twitter, the extent of public anger about this advertising campaign was made clear to Easyjet. Margate’s Mayor used twitter particularly effectively to complain to the airline. On Monday, Easyjet formally apologised and withdrew the campaign. This was reported locally, but also nationally, in the Independent and Telegraph newspapers and on the ITV news website. This is a fascinating example of how communities in tourism destinations can influence how they are perceived and marketed, thanks to the power of social media and the access that this gives communities to the media and tourism businesses. Admittedly, this kind of negative advertising is quite rare. In fact, it most closely resembles the kind of comparative tourism marketing that helped to kill off towns like Margate in the 1960s, when English tourists were first shown the delights of Sun, Sand and Sangria. Local gourmet Pizza company, GB Pizza, came up with this witty response to Easyjet’s campaign, I wonder how far we agree? 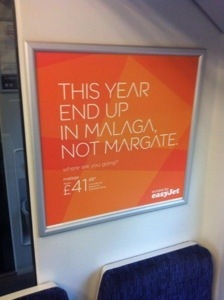 I would much rather be in Margate than Malaga. I have seen the press and social media coverage but didn’t realise it was you which set it all off. Well done.